You can see the problem of converging verticals where you take a photo of a tall building and the vertical elements of the building appear to converge inwards. This can make a building appear to be distorted and leaning backwards. Sometimes this effect is desirable whilst at other times it's not. The following images illustrate the problem. When you take a photograph of a tall building there is a tendency to tilt the camera upwards in order to include more of the building in the frame. It's this tilting of the camera that causes the converging verticals effect. If you were able to keep the back of the camera (or the camera sensor to be more accurate) parallel to the vertical face of the building you would not see the convergence effect. The problem with the previous suggestion is that keeping the back of the camera parallel with the building would most likely prevent you from getting all the building in the frame unless you were using a very wide angle lens. This in itself introduces a greater convergence effect. The alternative is to move further away from the building as distance from the subject is also an important variable. Historically architectural photographers have address the problem of converging verticals by using special cameras or lenses that have a tilt and shift capability. This allows perspective correction to be introduced in order to fix the convergence. Unfortunately these cameras and lenses are bulky, expensive and take a lot of skill to master. This puts the solution out of reach for most photographers. With the advent of digital photography we can now correct the problem in image editing tools such as Photoshop. 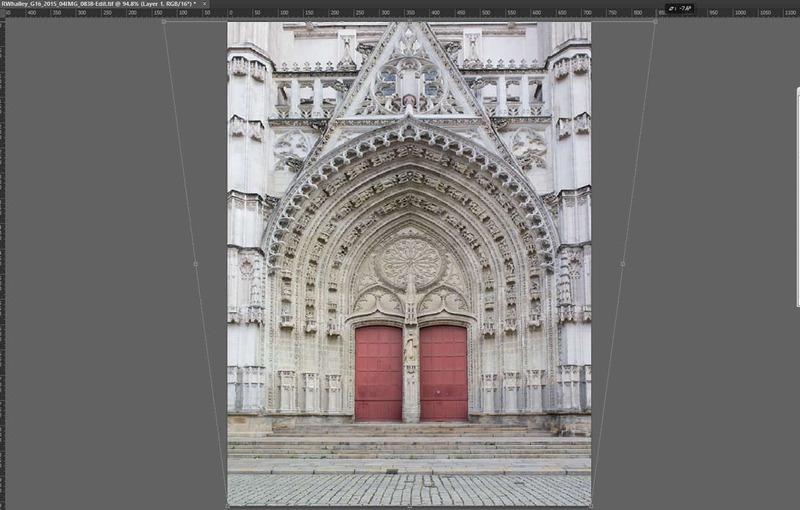 Here is the process of correcting converging verticals in Photoshop. Create a new layer by copying the image. You can do this be selecting “Layers | New | Layer via copy” from the menu. Alternatively use the keyboard short cut of Ctrl + J (windows) or Command + J (Mac). Click on the new Layer in the Layers window to ensure it is selected. Select “Edit | Transform | Perspective” from the menu. This will cause the entire layer to be selected. Pick one of the transform handles in either top corner of the image and click and drag it outwards. As you do this you will see either side of the image move out and the verticals start to become more upright. Once you are satisfied you can release the mouse and the transformation is complete. The new layer is not essential to the process but its good practice and allows you to delete the layer if you make a mistake. You can also use some of the other transformation controls such as Distort but you will then need to control both sides of the image independently. You may find that removing all convergence makes the image appear too short and unnatural. Some images are helped by a little convergence. You can press Ctrl + ' on the keyboard to toggle grid lines on and off (the ‘ symbol is on the same key as the @ symbol on many keyboards). These can help you align the verticals. Avoid introducing too much convergence of verticals in your images. Consider moving further away from your subject and using a longer focal length lens. Try to minimise any tilting of the camera so that the back of the camera remains parallel to the vertical face of the subject. Often it can help you to keep the camera parallel to the subject by gaining a little height. Sometimes this is not possible but do look around for options. 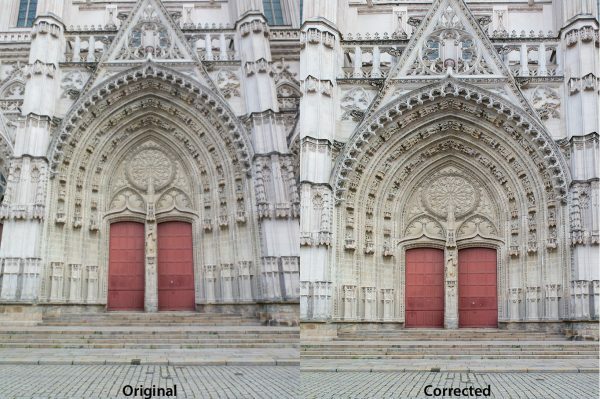 Leave a little dead space around the frame as this can make correction and subsequent cropping easier. You might also find the following article useful which contains a video demonstrating how the Transform Tool can be used in Photoshop. Hi Robin, Thanks for the work you have done and your generosity in publishing these tips and tutorials. I really appreciate it. Your welcome. It’s good to know its appreciated.